The Triphasic Tactical Training Manual was written with the explicit intent to deliver a systematic and scientifically founded approach in training methodology for athletes whose preparation does not result in wins and losses, world records, or gold medals. 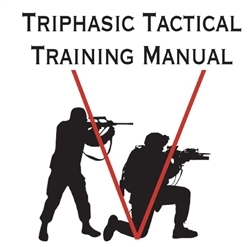 The idea behind the Triphasic Tactical Training Manual was originated from the individual needs of the tactical athlete and all those who put their lives at risk simply by going to work each day. The authors of this manual have broken down the needs of every tactical athlete into six physical qualities. In order to display the physical proficiency required by the tactical athlete, each of these six qualities must be trained appropriately. What separates this training program from others is that it allows tactical athletes to continue to train with their desired methods while offering guidelines that increase the likelihood of the user to achieve optimal level responses to training and see improvements in performance. The Weekly Sequencing Model was developed by multiple strength coaches along with an elite level military training professional for operators who based the protocol originally on The Triphasic Training System while also considering the specific needs of the tactical athlete. Programs currently being used for military training are not equipping these specialized tactical athletes appropriately, which leads to a disproportionate training of the six physical qualities necessary for optimal performance. It was this simple point that led to the creation of The Weekly Sequencing Model. This manual is a collaboration between combat veterans who have said “we can do this better” and the training professionals who said, “we can help.” Experience has teamed up with science to present this complete, systematic training program for the tactical athlete. The Weekly Sequencing model isn’t just exercising; it is training, specifically and systematically for the tactical athlete. This book is for the tactical athlete and those that dedicate their lives to maintaining high-performance levels to maintain the freedoms of others. In the tactical arena, less than ideal performance can have grave consequences. One step too slow, one moment too long, and the defeated does not receive a silver medal and a warm handshake. Cal Dietz has been an Olympic Sport Strength and Conditioning coach for numerous sports at the University of Minnesota since 2000. During his tenure, Dietz has trained athletes that have achieved 540+ All-American honors, 10 NCAA Team National Champions, Teams that have won 33 Big Ten/WCHA championships teams, 29 Big Ten/WCHA Conference tournaments, 21 NCAA Final Four appearances, He has consulted with Olympic and World Champions in various sports and professional athletes in the NHL, NFL, NBA, MLB,MMA and Professional Boxing. “Coach” is currently training operators within the United States of America Military. He has chosen to remain anonymous for this reason but has contributed a great extent to the ideas presented in this manual. “Coach” has completed many years of revising and improving the Weekly Sequencing Model laid out in this manual with countless operators and tactical athletes. Few coaches have executed more hands-on training with operators on a daily basis than “Coach”. Matt Van Dyke is in his first year as an Assistant Strength and Conditioning Coach at the University of Denver. Prior to his position with the University of Denver Matt was the Assistant Director of Strength and Conditioning for Olympic Sports at the University of Minnesota. Matt recently presented at the 2015 CSCCa National Conference on “Advanced Triphasic Training Methods” and is a co-author of "Triphasic Training, A High School Strength and Conditioning Manual" while also writing for his professional website vandykestrength.com. Van Dyke was a member of the Iowa State Football Team for 4 years as a wide receiver where he also completed an internship under Yancy McKnight.